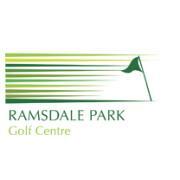 Ramsdale Park Golf Centre, Lee is a par-3 style public golf course located in Calverton, England. The practice area at the facility includes a lighted driving range. Food and beverage options include a restaurant with full service bar.